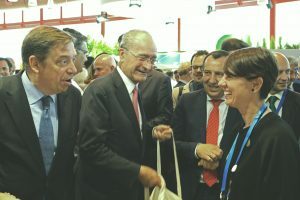 During the days 20 and 21 of June, the Startup Europe Smart Agrifood Summit fair took place in the Palace of Congresses and Fairs of Malaga. 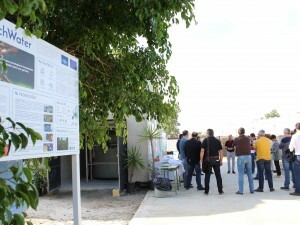 It was attended by more than 1,200 professionals from the agri-food sector from 19 countries. The aim of this day was to present the latest technological developments in the agri-food value chain, as well as to create a meeting point between innovative ideas and financial sources. 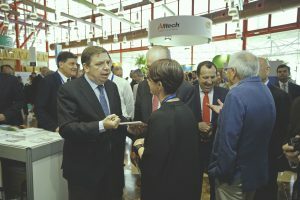 The event was opened by the Minister of Agriculture, Fisheries and Food, Luis Planas who did not doubt to approach the different stands and learn first hand what are the latest technological advances by entrepreneurs, startups and companies in the sector. 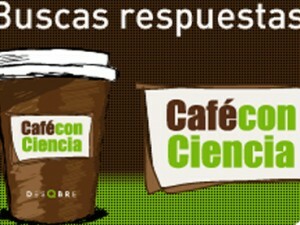 In total there were 350 companies represented with 40 participating entities and 30 exhibiting companies. 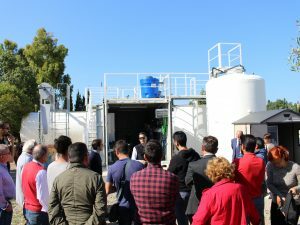 In addition, this event got together startups from countries such as Russia, Bulgaria, Ireland, the United States, Mexico, Italy, Portugal, and Spain with more than 50 investors from different parts of the world. Areas were also offered to facilitate business meetings as well as rotating work tables that allowed meetings through an online dating tool. 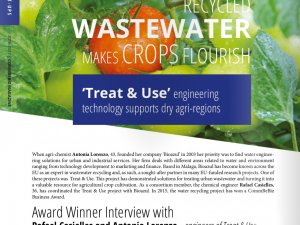 On the other hand, there was also the award ceremony presented by the vice president of the Intec Foundation, Juan Francisco Delgado who had the honor to deliver the Startup Europe Award to the Kowatt company in the Agritech category. Undoubtedly, an event where the innovative agri-food spirit was promoted providing opportunities for growth to emerging companies and startups, promoting cooperation among institutions in R & D projects and positioning the industry as a benchmark. 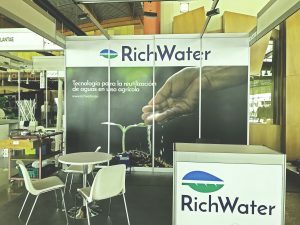 Richwater was present at the fair by a stand where it was able to share with the attendees what are the news that this project offers and benefits to all those interested. 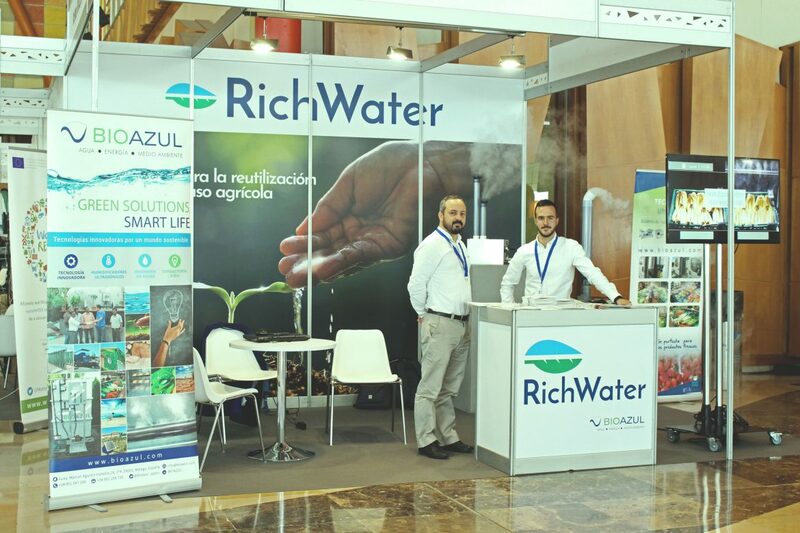 Antonia Lorenzo, R&D Director & Bioazul CEO, had the privilege of explain the RichWater technology to Minister Luis Planas and the Mayor of Málaga, Francisco de la Torre. 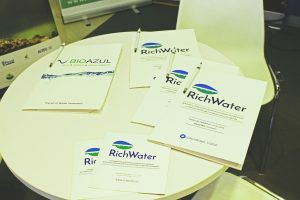 The Minister showed interest in the legislation for the reuse of water and the resolutive point of view offered by Bioazul.